July 2006. New models, new outfits. Take a peek at Angel Delight Daisy and a variation on Daisy St. Tropez. Miranda goes to work, and Daisy borrows Jody's dresses for an old-fashioned fantasy. Click pic at left to browse through Daisy's closet. Click buttons at right to see the new looks. January 2006. It's a wonder I finally had time to make this update. I've snuck Licorice Allsorts into the stripes section of the closet and then added a string of lovely looks starting with Miss Prim. This new section ends with Havoc in a suitably wintry misadventure. April 2004. Daisy and Havoc sport new looks, while some old looks are retired. My second attempt at an auburn reroot, this time on a Daisy head, is more successful than the last. Also: the long-awaited homecoming of Daisy St. Tropez. November 2003. You won't recognize Daisy! 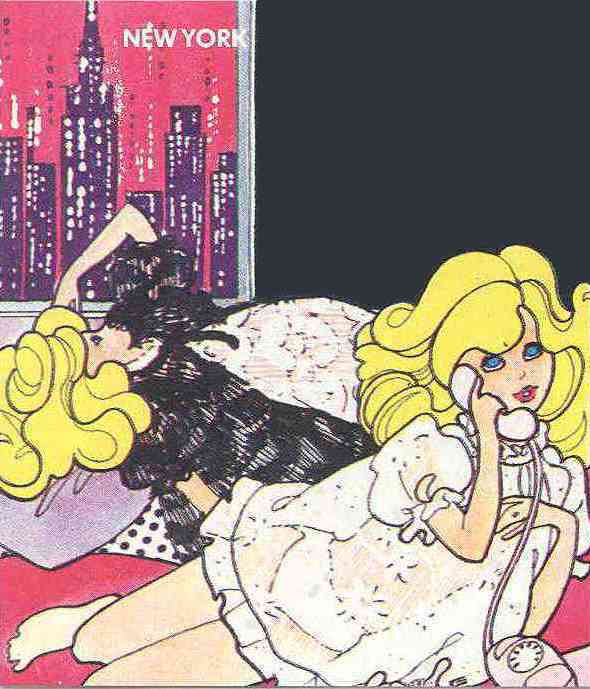 Havoc, Daisy's crimson-lipped alter ego, makes her debut on this site, while Daisy and an air-hostess doll sport dramatic new hairdos. Click pic at left to browse through Daisy's closet. Click pics at right to see the new looks. February 2003. Daisy's been shopping again. 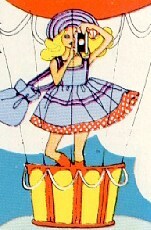 New additions to her closet include Chum Up, Dandy, Picnic and Wrapup, as well as some other surprises. Two new models debut today: another Daisy Bees Knees with a huge pouf of hair, and a KLM air hostess with a cute bob and toothy smile. 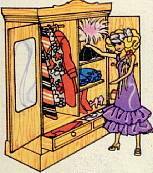 Click pic at left to browse through Daisy's expanded closet. 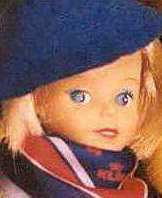 Click pics at right to see the new model, a doll I call "Emmi." 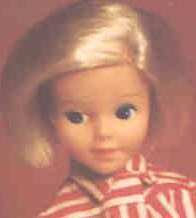 Online November 11, 2002--"Dossier: Daisy," covering the years 1973-78. Open the file to peruse spy-eye images of all Daisy's diabolical disguises. Seven times a bride, Daisy would do anything to bring down her opponent! 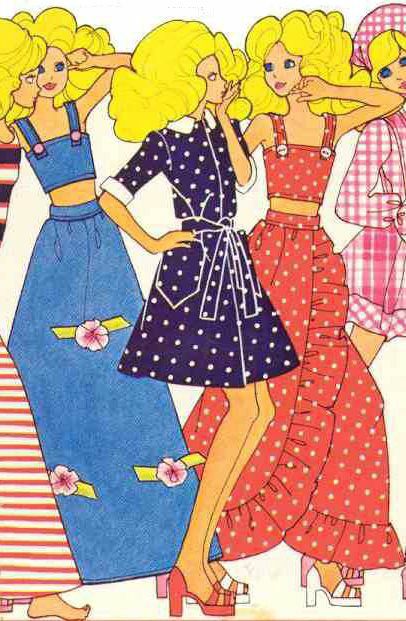 And she hid in plain sight, sporting attention-getting ensembles illustrated here by Joan Corlass. Click left to access Daisy's dossier. Click right for a peek inside her closet. September 2002. New glamour shots of Daisy's Bumper Jumper, the Disco Girls' Sunflower, and St. Tropez--the sequel. These photos are large, so please be patient while loading. If you've been here before, click pics at right to see the latest styles. New visitors, click pic at left to enter Daisy's closet. May 2002. Just added as a supplement to this site: my speculative illustrated chronologies of Daisy outfits and Daisy brides. Click pic at left. Also, sure to please fans of Joan Corlass' cartoons, big scans of the pages from My Round-The-World Trip, the booklet accompanying Daisy St. Tropez and Daisy Bees Knees. Click pic at right.